While newspapers are increasingly being converted to digital only platforms, there’s something to be said about flipping through the pages of a tangible newspaper. Many people collect newspapers in the hope that one will become valuable in the future. Others collect them to hold onto a small pieces of history. 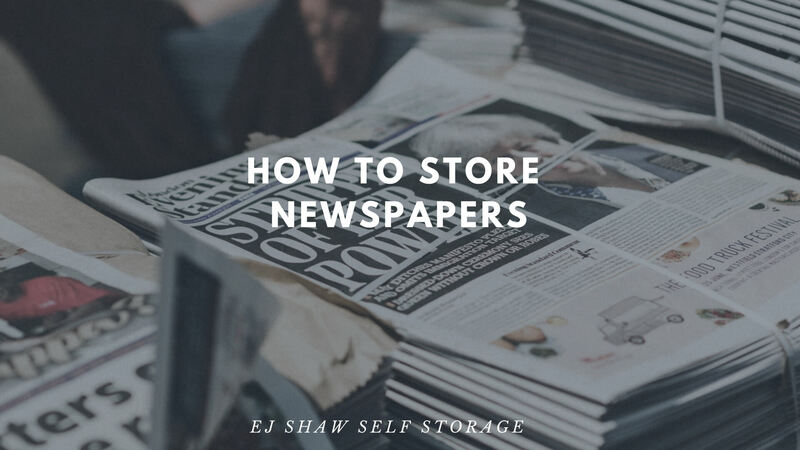 Whatever your reason for collecting newspapers, you should move them into Manly storage from EJ Shaw Storage. Why keep newspapers in Manly storage? Keeping your newspapers in Manly storage has numerous benefits. It frees up storage space inside your home, and it keeps the newspapers in good condition so they remain usable for many decades to come. Preparation is key to ensuring your newspaper collection remains in good condition. Unfold and unroll each page and lay it flat in an acid-free carton. To stop the pages from rubbing together, you should place some acid-free paper in between each newspaper page. When you’re moving the cartons into your Manly storage, it’s important you don’t store them directly on the ground. Use pallets to raise them up off the floor. You need to take care when you’re retrieving a newspaper from your Manly storage unit. Let the newspaper acclimatize to the different temperature and conditions by bringing the box into the room you’re going to open it in. Your newspapers are going to become quite brittle over time, so you need to handle them with care. Before you replace the box, make sure it’s resealed properly. Newspapers can last a long time when you prepare and store them properly; however, these conditions are hard to achieve in your home. Keeping your newspaper collection in Manly storage from EJ Shaw Storage will save space and keep your collection in optimal conditions.